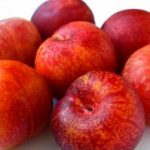 Have you ever had pluots before? They generally aren’t the first ingredient one things of when you think of green smoothie recipes, but I assure you that they are quite delicious. 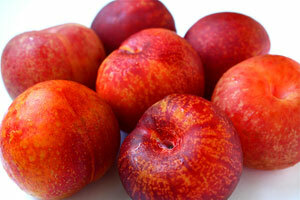 A pluot is actually a cross between a plum and an apricot. 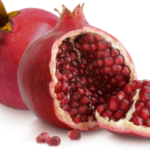 While they do result from cross breeding, this delicious fruit has not been genetically modified in any way. I can guarantee that, after you try one, they will become one of your favorite summertime fruits to. 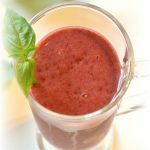 I was in my kitchen experimenting the other day with pluots, and I “discovered” green smoothie recipes with pluots and blueberries. I fell in love. 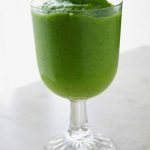 Because of the fruits in these green smoothie recipes, they are quite sweet, which makes them perfect for masking the taste of bitter leafy green vegetables, like bok choy. In fact, these green smoothie recipes have approximately 21.8 grams of healthy fiber and contains about 23% RDA of zinc! Thanks to the leafy green vegetables, it is also a great source of calcium and iron. 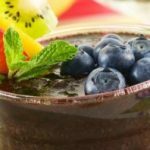 I prefer to use fresh blueberries in my green smoothies, because they are loaded with zinc and a number of antioxidants. The antioxidants found in blueberries will help protect your body from damage by free radicals and prevent inflammation. To make the smoothie, I start by adding the water to my blender and the soft fruits. After blending these ingredients together, I add the leafy green vegetables. You should blend all of the ingredients together for about 30 seconds until they are smooth. A single one of these recipes will make 1 serving of smoothie, but you can easily double the ingredients if you need to make more. This smoothie is also a rich source of folate, vitamins B1 – B6, vitamin K, copper, magnesium, manganese, phosphorus, potassium and zinc. Get ready to enjoy!